Entomologists and insect stacking photographers use various chemicals in their work and many can be bought easily through eBay if you're in a country where they're not available to individuals. Toxic chemicals require special care in use and all killing and storage jars should be marked clearly POISON, airtight and breakage resistant. Beware, in the context of entomological preservation there is no 'one-size-fits-all' method for treating specimens - smaller specimens require different concentrations and/or preservatives to larger specimens, whilst soft-bodied or scaled specimens present unique challenges of their own. Hair matting on greasy hair, a common problem. Hair matting is a common problem when preserving and cleaning specimens; having tried a variety of solutions I can confirm that there really is no known solution other than doing it the old-fashioned way, combing out the hair. It is thought that hair matting occurs because of various greases etc that come out a body after death but degreasing agents don't appear to help much, if at all. Your help with this would be appreciated as it drives me round the bend! Easily sourced killing agent with good anti-rotting preservative properties and low toxicity to humans. But can also cause a killing jar to 'sweat' inside sometimes destroying specimens. Use glass container (solvent, eats plastic). Versatile chemical that is also used to relax, preserve and declump but will still leave hairs matted. Often abbreviated to EtOH, Ethanol is used as preservative at 70-90% for soft-bodied specimens, used in a killing jar for hard bodied specimens. Some insect taxa and stages, however, don't do well in alcohols. For example, some larvae will discolour (darken) if killed in alcohol; plant bugs (Miridae) often lose their legs; and Lepidoptera lose their scales. High concentrations of ethanol has been claimed to keep the wings from twisting/folding, hairs from matting, soft organs from shrivelling and to speed up relaxing. Beware, specimens may revive if removed from the killing jar too soon. Use glass container (solvent, eats plastic). Isopropyl Alcohol (IPA) is a common alternative to Ethanol but fades some pigment-based colours, especially reds and greens; high evaporation rate, so not well suited for traps that are unattended for long periods. Can also be used in ultrasonic bath to clean specimen. Used to rinse after water bath for faster drying. Easily sourced, low cost killing agent and preservative. Some glycols are hygroscopic (absorbs moisture) and therefore may 'dry out' specimens (ie Propylene glycol). Use glass container (solvent, eats some plastics). Used in killing jar to kill insects. Some of these chemicals harden muscles to such an extent that the specimens are brittle and seemingly impervious to the subsequent humidity of the relaxing chamber. Cyanides are dangerous to use and should be used only by trained workers. Used in fumigation chamber to kill insects. But can also be obtained cheaply using the method used by Victorian entomologists by crushing common laurel leaves (Prunus laurocerasus) - bruise the leaves by putting them in a sock and thock them with hammer. Insects killed with cyanide usually can be relaxed very easily and successfully. Cyanide may change the colour of some bees and wasps. Solid form killing agent - alternative to liquid killing agents. The powder is not poisonous or flammable, but can be irritating to the lungs and corrosive to mucous membranes. Used in single drops to relax individual anatomy parts such as legs, antennae etc. Barber's Fluid is ethanol / acetone / ethyl acetate and water - used to contain Benzene but that gives you cancer. Neat Acetic Acid at 10% is used in airtight container to relax insects. Pickling vinegar is 5% acetic acid. A more pleasant odour than many relaxing fluids. 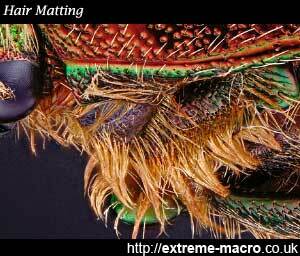 Insects can be kept for a very long time relaxing in acid without deterioration. Soak 1-48hrs to remove moisture depending on size and construction type of specimen. Brand name used by Union Carbide to market ethyl and methyl cellosolves. Does not excessively harden specimens but is highly volatile. 1hr - removes Cellosolve. Or used to dehydrate specimens by placing them for at least 5 minutes each in 70%, 90%, 99% alcohol and finally Xylene. If dehydration is incomplete small (especially slide-mounted) specimen can become clouded in the mountant. If specimens are in 80%-90% alcohol, they can be placed in Cellosolve (ethylene glycol mono ethyl ether) without having to use absolute alcohol and Xylene. Used when relaxing dead insects to prevent mould. Degreasing agents to remove fats (lipids). 1hr soak can restore greasy moth wing to original condition. Used as bath to re hydrate doli eyes. Add a few drops of dishwasher liquid. Pure ethyl alcohol with less than 1% water is expensive. Denatured might be cheaper but the added ingredients may make it not be effective. Squirt over wet specimens to speed up drying (azeotrope). Can be used in its own for relaxing insects, but if specimens require more than a day or two consider adding Chlorocresol, phenol, or naphthalene to prevent mould. Used for larvae - no discoloration as with alcohol, and leaves larvae 'inflated' making the study of setal patterns more convenient. Surfactants in 'soapy water,' as is commonly used in pan traps, break the surface tension of the water causing insects/spiders to drown. Absorption of water often results in distended organs, however. Kills dermestids (which destroy preserved specimens), but can promote grease so you may need to degrease. Also prevents mould. Lens cleaner. Longer chain alcohols have a higher tendency to eat plastics due their lower polarity so methanol is the best choice, if available. Typical solvents in commercial lens cleaners are acetone, methanol, and isopropyl alcohol (Isopropanol). Don't ever use pure acetone on plastic lenses. Blow, brush, wipe, and use the minimum amount of liquid, wick up any excess. Active ingredient in flynap, a commercial product for anaesthetizing drosophila. Flynap is 50% Triethylamine, 25% Ethanol % 25% Fragrances. Killing agent and insect repellant when out in the field near mosquitoes. Active enzyme in stomach acid used for relaxing very stiff specimens where the set muscles have become too hard to be relaxed with Acetic Acid. Used in taxidermy to re hydrate or prevent dehydration; 10% ammonia on dehydrated beetle eyes will bring some colour back; borax powder solution used in fish taxidermy, a very challenging craft that would appear to resemble the challenge of insect eye dehydration prevention. Yes, good call Mike. Not sure what made me not add that to this list - it's something I've been researching myself as well. My (limited) exploration of this suggests that they end up in quite unnatural poses, but it is nevertheless something that I also had stencilled into the chill chamber for this purpose, a CO² source. Johan, many thanks for the reply. I have read your article on chilling the the subject and it is interesting, albeit, very complicated. I look forward to seeing the finished results. Pleasure! Any electronic engineer types, feel free to chime in about Arduino and the engineering necessary for this thing! Insect photography isn't always possible by other means, but this has to be done responsibly! This chilling chamber might interest you Peter - a work in progress!